Have you ever stood in front of your fridge on a weekend morning, wanting to make something “special,” but not sure what to do with what you have? I have your answer. 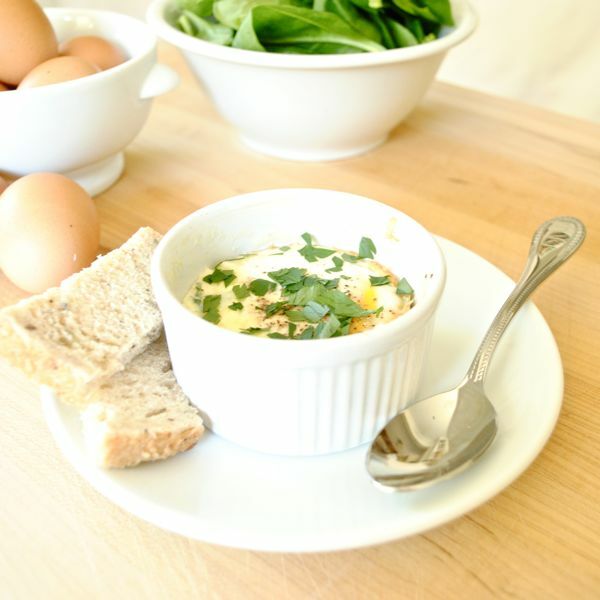 Eggs en cocotte is an easy, delicious breakfast dish made with a few simple ingredients. It’s the perfect answer to that “what to make?” question if you’re making breakfast for just yourself, for your family, or for brunch guests. I used bacon, spinach, and robusto cheese but you can adapt the ingredients to use whatever you have on hand. And can we talk about robusto cheese for a moment? Have you had it? It’s sharp, nutty, creamy, perfect for snacking, sandwiches, eggs en cocotte, you name it. If you haven’t tasted it, well, you should, it’s fantastic. I get it at Whole Foods. You can adjust the baking time to suit your egg preferences – bake it a little less if you like very soft eggs and a little longer if like your eggs cooked well done. The taste is exceptional any way you cook it! 2. Place a small slice of butter in each of four ramekins and spread around the dish. 3. Divide the bacon evenly among the four ramekins, followed by the spinach and then the cheese. 4. 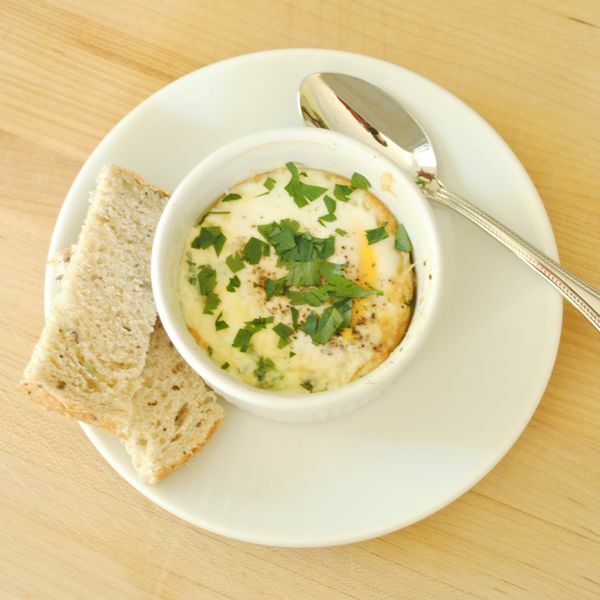 Crack an egg in each ramekin and top with 2 tbsp. cream each. Sprinkle with salt and pepper. 5. Bake in the oven until whites are set but yolks are runny, about 10 minutes. Serve hot with toast.